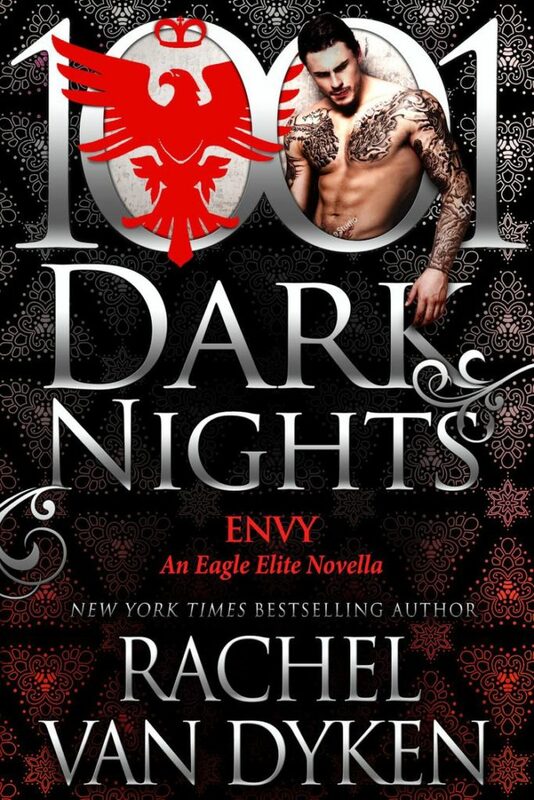 From New York Times Bestselling author Rachel Van Dyken, comes ENVY, a new novella in her Eagle Elite Series, brought to you by 1,001 Dark Nights! What can I say, except every book I pick up from Eagle Elite the more in love with the series I fall. I'll always be up front and tell you guys that when this series first began I wasn't the biggest fan. It wasn't that it was bad, I just didn't connect all that much, but wow over time Rachel Van Dyken has taken this crew from boys playing at being men, to men and women simply being badasses! Envy is just another fantastic addition to what has become one of my favorite series out there. You will fall immediately in love with these two characters. I adored how Renee was/is about of the antithesis to everything these families are. She's grown up not naive about the world around her but sheltered from it. She doesn't want the life she sees around her, the life that the mothers and fathers of the children she nannies have. She wants quiet and peace. She wants to go to college and get a job, settle down to a 'normal' suburban life. Of course what we want isn't always what we need or what we get. Vic, I honestly don't know exactly what to say about Vic, except I LURVE HIM! He's a big ol' teddy bear wrapped up in a tough and grumble veneer. No doubt he is one of the baddest (as in badass) of the bunch, he's THE ENFORCER for the families....just think on that, one enforcer, 4 families! He has their world on his shoulders and he takes that role with an unparalleled seriousness. The families trust him, they have put their lives in his hands...but maybe they've asked a bit too much. These two characters together are wonderful to watch (not to be puny, which you will only get once you read the book) and root for. 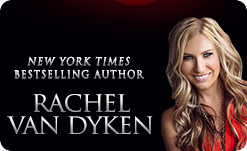 There is some complication in trying to keep up with who's doing what and who is in charge of what, but this world is complex and Rachel Van Dyken does an amazing job of weaving these stories and keeping us on our toes. I love the way she always gives us a twist in each story. Just when you think you know, she blows your mind and takes you down a completely unknown direction. 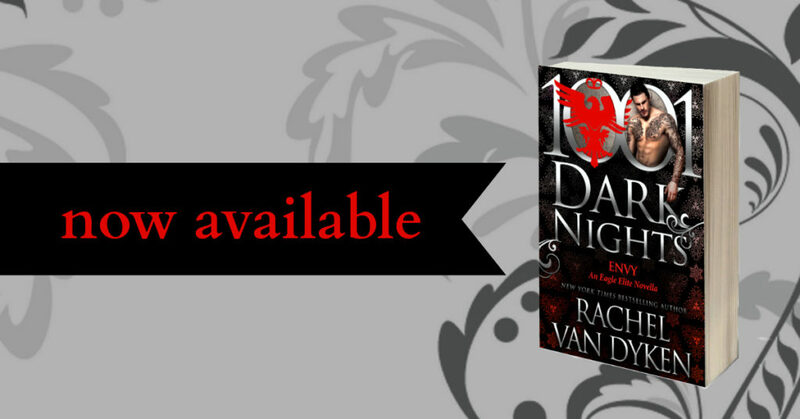 I will say that like all 1,001 Dark Nights novellas this one can be read as a standalone, but I almost feel like you really need the entire backstory to understand the dynamics of this family...you will at least most assuredly be adding the entire series to your shelves after reading this book. As with most novellas I don't want to go into much detail, but be assured that if you are a Eagle Elite fan you want this book and if you have never read an Eagle Elite book, don't hesitate to pick this one up...all I can say to you then is Blood In, No Out. Welcome to the Family!